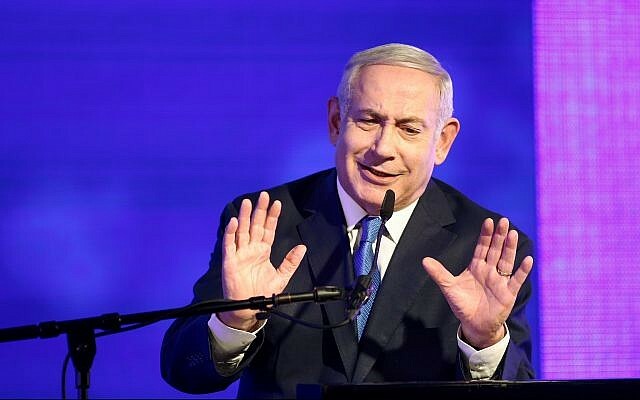 Prime Minister Benjamin Netanyahu hit back hard Sunday evening against Israel Police’s bombshell recommendation earlier in the day that he be indicted for taking bribes in the Bezeq-Walla corruption probe, known as Case 4000. Investigators said earlier Sunday they believed there was enough evidence to bring Netanyahu to trial on charges of accepting bribes, fraud and breach of trust, and fraudulently accepting benefits. It is the third case in which police have recommended bribery charges against the prime minister. They also recommended that his wife, Sara, stand trial in the case. He also noted that Hanukkah is a festival of miracles, and mused bitterly, “How did they know to time (the publication of) these surreal allegations precisely on the very last day of the police chief? What can I tell you? A real Hanukkah miracle. What a gift they gave us for the festival,” he said, in tones dripping with sarcasm met with cheers from his upbeat supporters. Sunday was police commissioner Roni Alsheich’s final full day in office. Investigators said that Netanyahu advanced regulatory decisions benefiting Shaul Elovitch, the controlling shareholder in Bezeq, the country’s largest telecommunications firm — despite opposition from the Communication Ministry’s career officials — in exchange for positive coverage from Elovitch’s Walla news site. At the time when a merger of Bezeq with the Yes satellite operator was approved in 2015 — a deal at the heart of the case, said to have benefited Elovitch to the tune of hundreds of millions of shekels — the prime minister was also serving as acting communications minister. Netanyahu rejected the specific allegations, saying that there was no benefit to either side in the alleged quid pro quo. “I didn’t give anything to Elovitch and I didn’t get anything from Elovitch,” he said. “Not only did Elovitch not get anything from me during my tenure as communications minister, he lost a fortune,” the prime minister charged. “As minister of communications, we instituted the wholesale market reform that lowered the prices of the Internet and collapsed Bezeq’s share — a reform that seriously hurt Elovitch. In other words, Bezeq received nothing, but lost,” he said. In their blistering statement, police had said “the prime minister and his associates intervened in a blatant and ongoing manner, and sometimes even daily, in the content published by the Walla News website, and also sought to influence the appointment of senior officials (editors and reporters) via their contacts with Shaul and Iris Elovitch,” the Bezeq owner’s wife. Netanyahu, however, said there was nothing wrong with being in contact with owners of major media outlets. “I don’t think it okay in a democracy for the police to investigate ties between politicians and the media,” he said, accusing investigators of singling him out, and noting that dozens of lawmakers receive “flattering coverage” and are not probed by authorities. 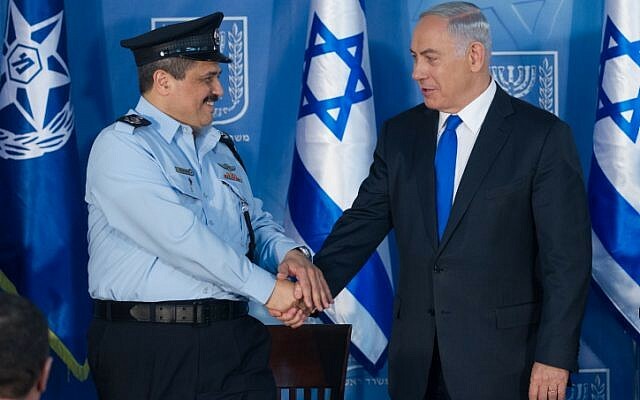 “I wasn’t surprised the recommendations were published, or that they were published today,” Netanyahu added, citing the timing of the announcement on Alsheich’s last full day, and accusing the police chief of leading a smear campaign against him. Alsheich ends his term on Monday after three years. Both Netanyahu and Public Security Minister Gilad Erdan have clashed with the outgoing commissioner and declined to extend his tenure for the customary additional year. Earlier this year, police recommended that Netanyahu be charged with bribery, fraud, and breach of trust in two other corruption cases, designated 1000 and 2000. The following month, Netanyahu said that law enforcement officials were being pressured to pursue criminal investigations against him. 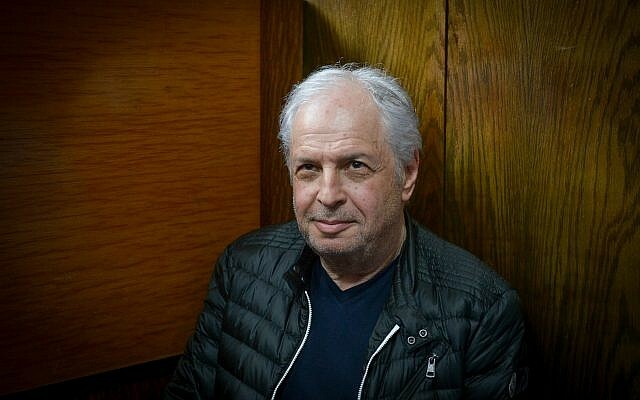 He has since railed against Alsheich, accusing the police chief of leaking information to the press and of conducting a “witch-hunt” against him and his family. Alsheich’s departure comes amid a cloud over his successor vis-a-vis the Senior Appointments Advisory Committee, also known as the Goldberg Committee, which announced last week that it could not recommend Maj. Gen. Moshe “Chico” Edri as the next police chief, citing a meeting Edri held during the nomination process with the lawyer of a Tax Authority whistleblower who has accused Edri of harassing him. Erdan, who nominated Edri, harshly criticized the committee over its decision and vowed to push ahead with the appointment despite the disqualification. Alsheich had also reportedly been against the appointment. In Case 1000, the so-called “gifts scandal,” Netanyahu is suspected of “systematically” demanding benefits worth about NIS 1 million ($282,000) from billionaire benefactors, including Hollywood producer Arnon Milchan and Australian resort owner James Packer, in exchange for favors. Case 2000 involves a suspected illicit quid-pro-quo deal between Netanyahu and Yedioth Ahronoth newspaper publisher Arnon Mozes that would have seen the prime minister work to weaken a rival daily, the Sheldon Adelson-backed Israel Hayom, in return for more favorable coverage from Yedioth. Netanyahu has denied wrongdoing in all of the cases, insisting the gifts were given by friends and were not bribes, and that he never intended to act on his conversations with Mozes. In their Sunday statement, police noted that the investigation had not found enough evidence to charge Benjamin and Sara Netanyahu’s son, Yair Netanyahu, who was questioned a number of times during the investigation. The recommendations in Case 4000 now go to the Attorney General’s Office, where they will first be reviewed by the state prosecutor before going to Attorney General Avichai Mandelblit. Mandelblit, who will make the final decision whether to indict the prime minister, intends to examine all three cases at the same time, which will be possible only after he receives the state attorney’s recommendations based on the final police reports. That process makes late 2019 the likely timing for any final word on whether Netanyahu will face trial. The next Knesset elections are currently slated for November 2019, but may very well be held earlier. Coalition partners have previously said that they would not leave the government unless a full indictment was filed against the prime minister, but recent crises may have shifted allegiances in the coalition after it was reduced last month to a paper-thin majority of just 61-59 in the 120-seat Knesset.